Nothing like a half-birthday to put things into perspective. If there is ever a song to accurately describe my now, it is Solange's Cranes in the Sky. I try to keep my mind occupied, busy with multi-tasking when I really just need to chill. I try to stay informed but digesting too much information is exhausting. I try to read it away but fiction is only a temporary escape. And I will be broke if I continue with retail therapy. Add that to the migraine I've had for the past 67 hours and counting. I'm almost to the 3-day limit and scheduled for treatment this Monday. Tis is the Life of a Migraineur. Please keep me in your thoughts. 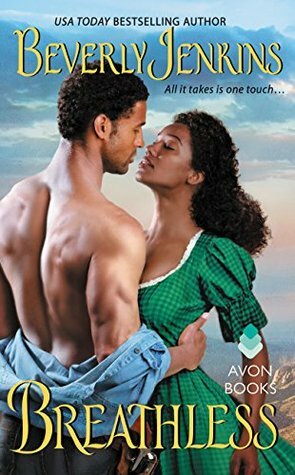 My Series Sunday pick is Breathless, the second book in the Old West trilogy by Beverly Jenkins. Portia Carmichael is determined to focus on work, women's suffrage, guard her heart and keep her high-collared blouse buttoned. She works as the manager of one of Arizona territory's finest hotels and hopes to expand her bookkeeping career. Portia pays no mind to the many suitors hoping to court her. Until a handsome cowboy from the past rides into town on his blue stallion. Kent Randolph hasn't seen Portia since she was around 12 years old. Now she's a stunning, passionate grown woman. Suddenly Kent has reason to stop drifting through the Old West and perhaps settle down in Portia's arms. Portia Carmichael and Kent Randolph are two characters that I wanted paths to cross. They are so different, yet work well as a hotel/ranch team. Following the footsteps of Uncle Rhine and Aunt Eddy, Portia may have found the man that is worthy of letting her guard down and loosening her strong will. It is apparent through the author's well written descriptions and dialogue that love cannot be ignored; let it take your breath away. I will forever support my fellow Cass Technician who consistently releases 5-heart historical fiction novels. Want a quality love story with a bit of history and action? Breathless is it! "I am learning to speak. To give myself a way out. A way in." Fabiola Toussaint thought her and her mother finally found a good life. But after they leave Haiti and make it all the way to New York, Fabiola's mother is detained by U.S. Immigration. (Sound a bit too real, doesn't it?) Teenaged Fabiola is left alone to navigate America, her three boisterous cousins and mysterious yet sickly aunt on the Detroit's west side. Her new home is on American Street and Joy Road. Longing for her mother and struggling to adapt, Fabiola finds herself accepting a dangerous proposition all in the name of freedom. The crossroads in this coming-of-age story are both symbolic and real! 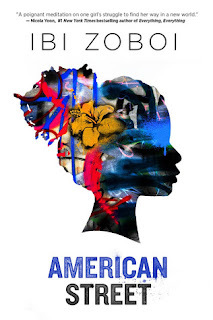 From the colorful eye-catching cover to the positive blurbs on the back cover, American Street was everything! I could be partial because it took place in the city of Detroit (shout-out to Coney Islands, Belle Isle and Joy Road). I love it when I recognize street names and places in literature. It is obvious the author did a bit of research on the setting. American Street is in the Young/New Adult genre but will be enjoyable to adults. In fact, adults may better follow the spiritual aspect and foreshadowing. The spirits, rituals and prayers play a huge part of this story. I was not bugged out about vodou and other cultural practices but rather educated. It was also an innocent not-in-your-face look at an immigration story. Well done, Ibi Zoboi. I have always been an avid reader. Some stories stick with you forever. This novel reminds me of a couple books I read way back in the day: Scorpions by Walter Dean Myers and The Coldest Winter Ever by Sister Souljah. It is not quite coming-of-age by spanning years but more so survival in the community and adapting to your new surroundings. 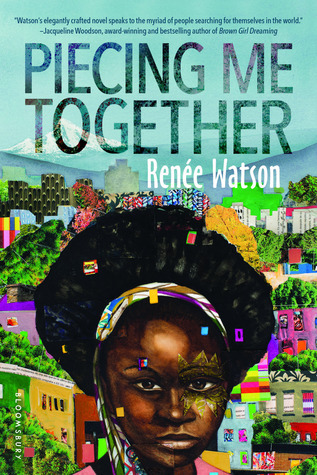 I hope it is added to a school's reading list but I will do my part in it reaching the masses by recommending it to the high school students I mentor as well as my grown bookhearts. 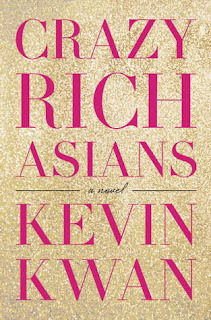 Before I end this review, take another look at the striking book cover. You need this on your shelves, bookhearts. If my description above sounds confusing, it is because I was! But Then I Came Back has a good premise of recovery and friendship building. But the beginning started off so confusing. I continued reading on the strength of the author's other novel, This Raging Light, only to be disappointed with it falling flat. Don't judge a book by its cover. But Then I Came Back has such a beautiful cover. It's dark, yes. But the gray roses in 3D are striking. I was eager to open this galley and dive into the story within. Le sigh. And then I was so very disappointed. In a strange way, the storyline moved along slowly yet some of the characters descriptions were rushed making it hard for readers to relate. I waited a whole year for this hyped up companion novel?! Happy Early Pub Day, Estelle Laure. 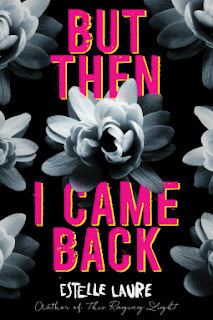 But Then I Came Back will be available Tuesday, April 4, 2017. 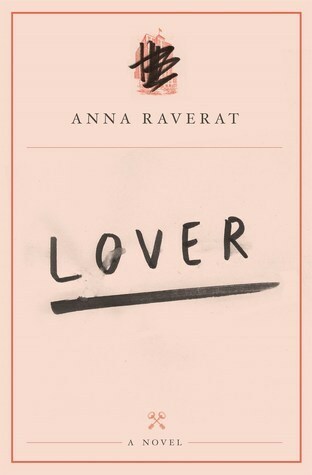 Unfortunately, I cannot recommend it to bookhearts. There are 84 emails between Adam and Louise Phelps. Of course not everything is mentioned but enough for Kate to realize her husband has been chasing another woman. Ten years of marriage and two children later, a line of communication has turned Kate's world upside down. 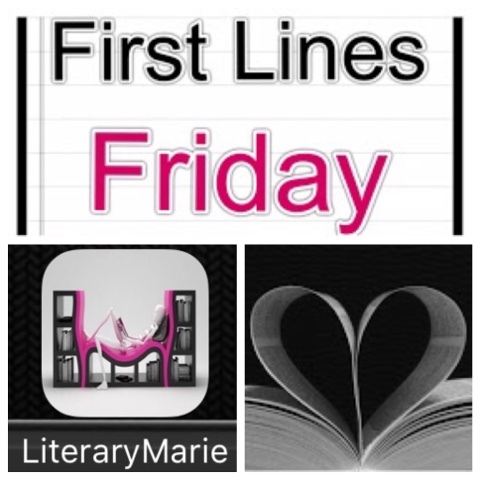 Through repetitive actions, thorough research and a mild level of drama, Kate gives readers a look into her psyche while figuring out who her husband really is. I wanted to...no, I did...roll my eyes and say aloud, "Lady, chill!" What an annoying beat-a-dead-horse-in-the-name-of-closure main character she was. How many times can a person relive a bad experience? How many times can a wife question her adulterous husband about the same affair? She drove herself—and me, the reader—crazy! I just wanted her to move on already. The character once said that her thoughts made rooms; I wish they would've locked her out. This took away from what could have been a good book about a crumbling marriage in the aftermath of an affair. Lover was published on March 7, 2017. I recommend you pass on this one. Do you need advice on your relationship/baéship, job or life? Do you have a question about etiquette? 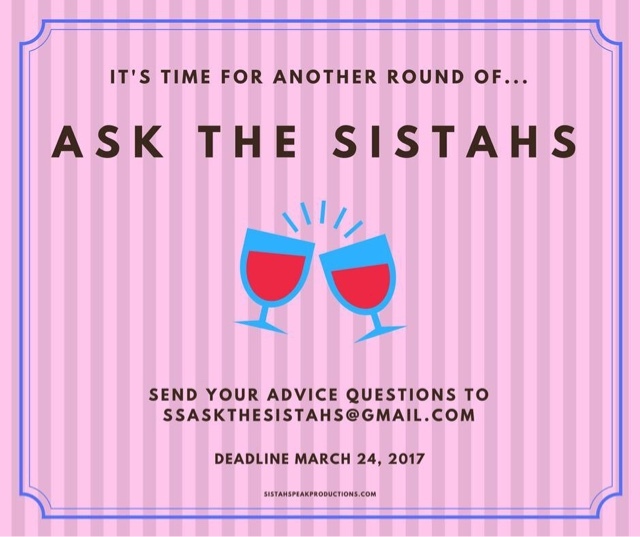 Then now is the time to Ask the Sistahs! It is time for another round. Send in your question(s) before the deadline. Listen to previous Ask the Sistahs podcast episodes here. 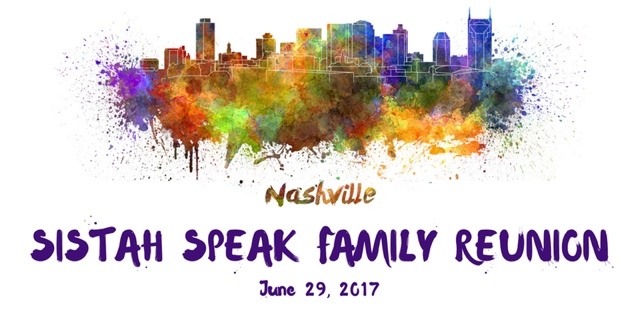 Happy to announce and extend an invitation to our 2nd Annual Sistah Speak Family Reunion! 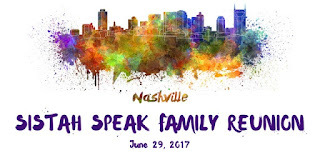 It will be held at the gorgeous Indigo Hotel in Nashville, Tennessee on Thursday, June 29 at 6 p.m. We will have a complimentary adult beverage hour until 7 p.m. and a cash bar afterwards. An evening with the Sistahs includes dinner, dessert, dancing, a photo booth, laughs and fun with the Sistah Speak family. We appreciate all of our podcast listeners and look forward to seeing everyone in Nashville soon. Show up and show out, Sistah Speak Nation! "Nicholas Young slumped into the nearest seat in the hotel lobby, drained from the sixteen-hour flight from Singapore, the train ride from Heathrow Airport, and trudging through the rain-soaked streets." Chamomile oil in the diffuser. Lights off. TV off. Book closed. Although born Margaretha Zelle, then later Madame MacLeod through marriage, and H21 by the Germans, I will respectfully refer to her as Mata Hari, the name and independent woman she wishes to be known as. Mata Hari left a husband and daughter behind in Holland with no money or belongings. Only a will for freedom since arriving in Paris and becoming a famous dancer shocking audiences. She has been the fascination of men and envy of women. Lover of the richest and most powerful men, however, was her demise. Her lifestyle (and pillow talk) brought her under suspicion. 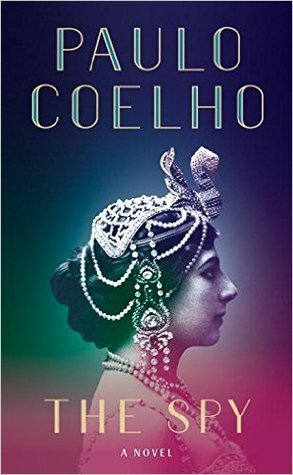 Despite Mata Hari's efforts to escape dependence, conflicts still pursued her. Being an independent woman was her crime. Mata Hari was accused of espionage. Arrested in 1917 as paranoia consumed a country at war. She was accused of spying for Germany, France and Russia. The Spy is her story told through her voice in a final letter. Paulo Coelho has a distinctive way of weaving a story based on facts and history into an unforgettable tale. Dare I say almost all of Paulo Coelho books are classic status. The Spy is not excluded. Published in November 2016 and read after I published my Top Books of 2016. Otherwise it would have easily been listed among the best. Alas, let me deem it my first favorite book of 2017. We all have the capability to make a change, no matter our position in life. Eleanor Roosevelt was the longest-serving first lady of the U.S. (1933-1945), an American politician, women's rights activist and the outspoken member of the White House. She was a powerful woman and used her position for the good in a time where women were expected to be silent, stand by their man quietly and not speak in public. Her writing a book in 1933 was shocking to the world. 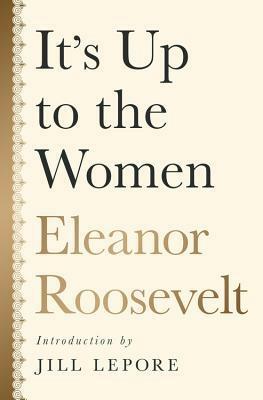 First Lady Eleanor Roosevelt (ER) gives advice to women of all ages in every aspect of life in her first published book, It's Up to the Women. 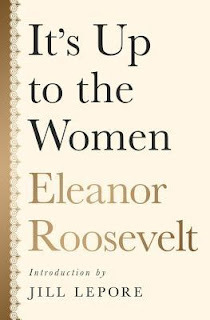 Written during the Great Depression, she asks women do their part to get through the economic and financial hardship. Topics include hunger, homelessness, working in and outside the home, unemployment, education and independence. She encourages women to play influential roles in their public and private life. ER was ahead of her time. She was an active First Lady, writing this book during the first year. She toured around the country speaking, was involved in politics and press conferences. She was one of the first women to actively speak up about equal pay for equal work. She rooted for quality education and the right to vote. ER knew the importance of her position as First Lady and stepped outside the box. It's Up to the Women was first published in 1933. 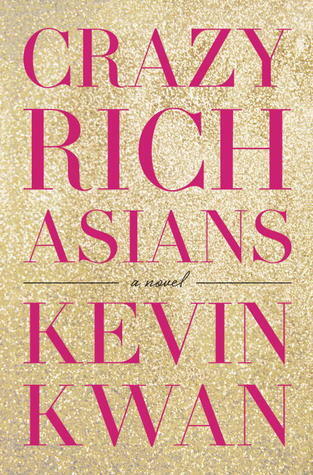 Its next expected publication date is April 11. The content and ER's words are just as relevant today as it was 80+ years ago. I have a sense of self-accountability after reading this re-published book. It is indeed up to us women. We run the world, right? Now, more than ever, we need to act like it. 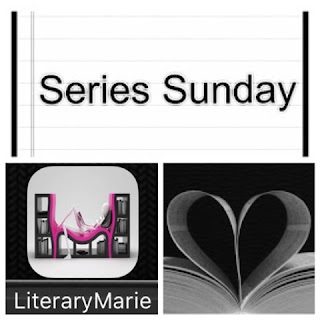 My Series Sunday pick is Bending the Rules, the third book in The Wright Brothers series by Christina C. Jones. Best friends Toni and Justin Wright have a blended relationship that mixes business with friendship. As long as they stick to the rules, there is no issue. But then Justin bends the rule and Toni has been mad ever since. 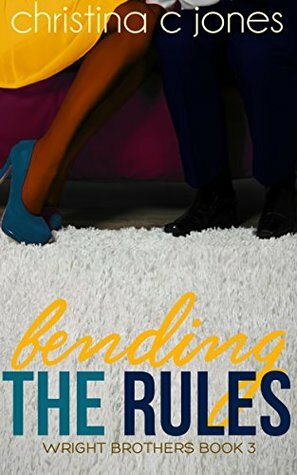 When the stars align and Toni is chosen to help Justin with his bestseller book signing, they wonder if it is time to make amends and adjust those rules. I only finished Bending the Rules for the sake of finishing the trilogy. By the time I reached this third book, I was kind of over it. I was no longer interested in how the last Wright brother, Justin, was paired with Toni, his best friend since childhood. This is definitely my least favorite of the series. Should you skip it? Hmmm, maybe just save it for a rainy day. "You blame the internet for the whole thing." Let me start off by saying I am still wiping the sugar crumbs off from a warm paczki. Thank God for Fat Tuesday. Now it is Thursday and we are two (2) days into Lent. No, I am not Catholic. But I am a Christian member of the Worldwide Church of Snuggie and give tithes to Bedside Baptist. Lent is a sacred time to clear my mind and rid myself of any toxins or negativity. During Lent, I remove things from my life that prevent me from concentrating on my spiritual journey. It is a matter of discipline and a true test of faith. In previous years, I chose to give up Pepsi or frivolous shopping. This year will be a challenge with a goal. Again, a true test of faith! I am giving up unnecessary spending. This includes fast food, desserts, shoes, clothing, jewelry, books, magazines, accessories, anything I want but do not need. Every time I have an urge to buy something that is a non-necessity, I will transfer the amount it would've cost to my savings account. For example, I was one click away from downloading an eBook today. Instead, I transferred that $6.99 to my savings account. I paid myself, not Amazon. Yesterday, I so wanted to buy a new charm bangle. I said a quick prayer for strength and transferred that money into savings instead. Through this Lent, my goal is to save at least $400 in 40 days. Pray for me! For those also participating in Lent, please share what you are giving up and goals. Judge Sampson has a prestigious job, two healthy kids, a loving wife and a happy routine. For example, every Wednesday afternoon, Judge Sampson leaves the courthouse early to pick up his six-year-old twins for swimming. On one particular Wednesday, his wife, Alison, texts him that she will get the kids from school instead because of a forgotten doctor's appointment. Sure, this is out of the routine but the judge doesn't question it. Not until Alison comes home at 5:52 p.m. without the twins and insisting she never sent the text. So where are Sam and Emma? What happens next changes the Sampson family's lives: a kidnapper calls. Sam and Emma are being held until the judge rules exactly how he is told in a high-profile case. He's been compromised! Besides following the instructions of the kidnapper, Judge Sampson and his wife are instructed to say nothing or they will never get the twins back. So begins the game of blackmail, suspicions, politics and corruption. Sometimes it is hard for me to think of the right adjectives to describe a book. Especially when the book is really bad or really, really good. From page one to page 448, Say Nothing had one word going through my mind while reading: unputdownable. Seriously. This book captured me like one of its characters and didn't let go until it was through with me. Say Nothing was the type of novel that I held in my hand while walking, eating and right before sleeping. This is no ordinary kidnapping story. 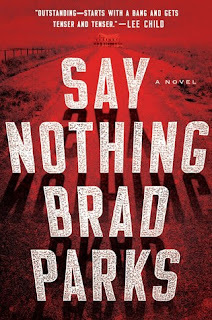 This is my first novel read by Brad Parks and I am impressed (so much so that I downloaded his first published novel that received multiple awards). I thought the story would drag out since the book was nearly 500 pages long but Say Nothing was very well-paced. And unlike other long novels, none of the characters annoyed me. No unnecessary wording. No mindless dialogue. No distracting side plots. All interesting and relevant. Like any good mystery, I tried to figure out whodunnit. 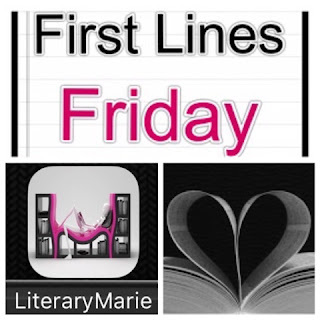 I questioned which character was guilty or innocent, which character was truthful or a liar. Some of the actions of the main characters got a side-eye from me. Would I have really said nothing if I were the Honorable Judge Sampson or his wife? Would I have kept secrets hiding my involvement? Would I have done more than comply with instructions while hoping for the safe return of my children? I would certainly have reacted differently to some of the events but that's what kept me interested. Far as who did what, when and why, I was partially right but still surprised at the ending. And when I say "ending," I mean until the very last pages. What a suspenseful ride! Happy Early Pub Day, Brad Parks! Say Nothing will be available next Tuesday, March 7.